Free Carfax Alternative! Check Any Vehicle’s History FREE! This Free Carfax Report Alternative could save you tons of money! Be sure to share it with friends, so they can get free car VIN searches too! When you’re in the market for a new-to-you — or used — car, it really helps to know the car’s history. Things like whether it’s been in an accident, how many miles it really has on it, and things like that. Finding these things out before you buy can save you a ton of money and headaches! That’s why hundreds of thousands of people turn to them. But it’s so expensive! That’s why we’re so excited about this Free Carfax Alternative! But, if you want a real, actual Free Carfax – not an alternative, we’ve got you covered there too. 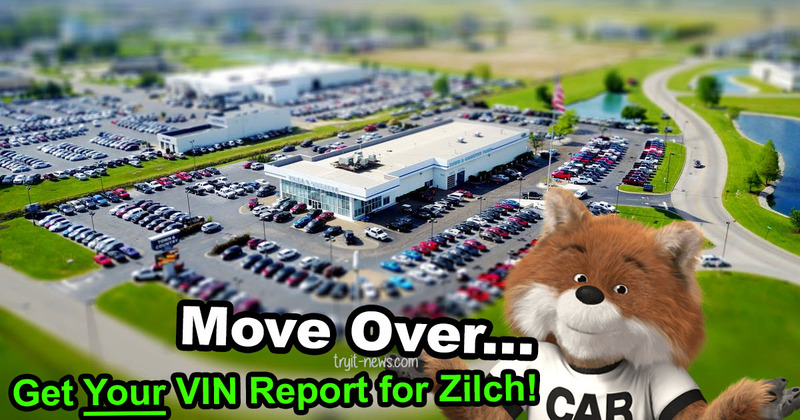 Head on over and read our Free Carfax Report hack! Second, look at VehicleHistory.com which is a great free carfax alternative. Third, you can try iSeeCars.com/VIN? Fifth, another reader commented that Vincheck.info is a good free Carfax alternative ~ thanks Edwina! Finally, Ford ETIS lists Ford vehicles and some history. You can use all of these suggestions for free Carfax report to research a vehicle’s VIN – and in some cases you can search license plates – totally free. My personal favorite way to get a free vehicle history report, without paying for a Car Fax membership, is Vehicle History (the second listing above). But, try all of them and use what works best for you to get a free Carfax report. Imagine doing a VIN Search and not having to pay $40. Sweet! That can get really expensive when you’re looking to buy a used car.